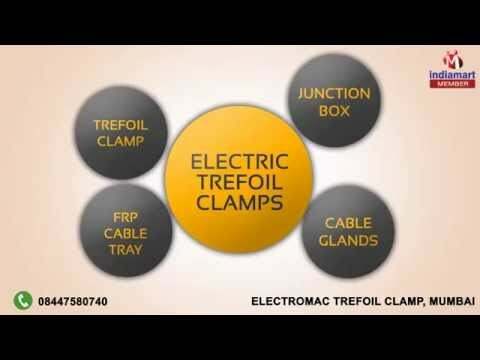 Welcome to Electromac Trefoil Clamp, established in the year 1991, an ISO 9001: 2008 certified company, we are one of the leading and prominent manufacturers, suppliers, traders, exporters and distributors of a broad assortment of Electrical Products. Inclusive of Trefoil Clamps, Junction Boxes and Cable Glands, we offer a wide range of electrical products. Known for their excellent resistance to voltage fluctuation and durability, these electrical products are used in power distribution and communication applications. In addition to this, the offered range of electrical products is available with us at industry leading prices. With the aid of our large production capacity, we have been able to diversified requirements of our valuable customers in the most efficient manner. Customized packaging solutions and different payment options are offered, keeping the ease of our customers in the most efficient manner. We export our products in all over the world.